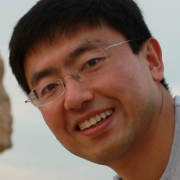 Cheng Huang is a research scientist and tech lead at the Microsoft Azure Storage team. Lately, he has been leading the design, architecture and implementation of Azure Storage vNext. He is also responsible for all erasure coding strategies in Azure Storage. Along the way, he has been introducing formal methods and model checking to the Azure teams. Leads the production development of Azure Storage vNext (to scale Azure Storage from EB to ZB). Responsible for all erasure coding strategies (within DC, within region and cross-region) in Azure Storage. Educates Azure teams on formal methods (such as TLA+ and IronFleet) and model checking (such as P#). Organizes the Dr. TLA+ Series. Dr. Huang has also been working on erasure coding technologies for storage applications. While the industry has been relying on conventional schemes, invented more than 50 years ago and primed in deep space communication, Dr. Huang and his MSR colleagues have partnered with the Windows Azure Storage team and designed novel schemes that are optimized specifically for cloud storage. The LRC paper received a Best Paper Award at USENIX ATC 2012. LRC significantly reduces storage cost over conventional schemes, while still maintaining required durability and I/O performance. Given the scale and growth of Azure, the savings from LRC translate into 100s of millions of dollars for Microsoft. This work has been covered by the Microsoft Research featured story. In the past, Dr. Huang and his MSR colleagues have partnered with the MSN team, designed and developed Microsoft’s peer-assisted Video-on-Demand system, which significantly reduces the cost of video delivery while dramatically boosting video quality at the same time. Please check out the profitable VoD paper at ACM SIGCOMM 2007. This work has also been featured by New Scientist. Dr. Huang has partnered with Azure and built a Global Traffic Management system; the Apollo paper was presented at USENIX ATC 2010. Dr. Huang has partnered with the Xbox team, designed and built the core decision engine in Pangolin—the low delay network transport protocol used in Xbox social gaming—and presented the Pangolin paper at ACM CoNEXT in 2011. Dr. Huang has also partnered with the Bing team and investigated Internet Search hijacking. This work was presented in the Revealer paper at USENIX LEET 2011 and featured in stories by the Register and Ars Technica. Dr. Huang received his B.S. and M.S. degrees from Shanghai Jiao Tong University, both in Electronic Engineering, and his Ph.D. degree in Computer Science from Washington University in St. Louis. [06.2016] Launching Dr. TLA+ Series. [08.2015] Teaching Tutorial on Cloud Storage at ACM SIGCOMM 2015. [06.2014] IEEE Communications Society and Information Theory Society Joint Paper Award. [12.2013] Microsoft TCN Storage Technical Achievement Award for “outstanding achievement and contribution in Microsoft storage technology”. [09.2013] LRC Erasure Coding shipped in Windows Server 2012 R2 and Windows 8.1. Here is my talk at SDC 2013 (PPT). [02.2013] Jim Plank and I taught a Tutorial on Erasure Coding for Storage Applications at FAST 2013. Here are the tutorial materials. [09.2012] Gave a talk on “Erasure Coding in Windows Azure Storage” at SDC 2012. Here is the StorageMojo take. [06.2012] “Erasure Coding in Windows Azure Storage” receives a Best Paper Award at USENIX ATC 2012. There is much renewed interest about Pyramid Codes. Here is an introduction.